Good news, patio season is upon us once again! Spring has finally sprung and it is the perfect time for outdoor dining. Grab your family or Sunday brunch gang and enjoy the nice weather on one of these popular patios in Mesa City Limitless! You will surely make picture-perfect memories when you visit this picnic-style patio! Queen Creek Olive Mill is family operated and is home to over 7000 olive trees on the 100-acre farm. Not only can you enjoy their Italian inspired menu, but customers can also shop their award-winning olive oils or take a tour of the mill when they visit. Stop by to receive a delicious and educational experience, and enjoy lunch in the grove on a spring day! Check out this unique sandwich shop, located in Downtown Mesa, that will definitely be WORTH your time! The friendly environment along with their delicious craft sandwiches will make you want to visit more often! Looking for a backyard atmosphere that will make you feel at home? 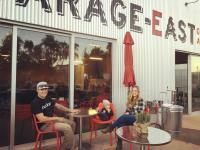 Look no further, because Garage East is the perfect cozy patio for you! 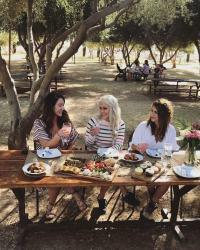 This farm-style winery is located at Barnone in Agritopia and offers a welcoming, casual environment to savor a refreshing glass of wine... or three. Customers can also enjoy live music at this patio on Saturdays and Sundays. Did you know that The Patio at Las Sendas has won the 2015 & 2016 award from Open Table for "100 Scenic Restaurants in America"? That&apos;s right folks, this patio comes with amazing views of the mountains and city lights at no extra charge! You&apos;ll fall in love with Arizona&apos;s unbeatable sunsets while you enjoy a handcrafted meal from their unique menu. Don&apos;t miss out on live music nights on this patio either! Wine lovers, this one&apos;s for you! Enjoy the glamorous yet relaxing atmosphere and cozy patio at Postino East Wine Cafe. Experience the aroma of house-made bruschetta while you delight in dinner and lawn games on the patio. Insider tip: their "board and bottle" special is available Mondays and Tuesdays after 8 p.m.
Customers love Jalapeno Bucks&apos; "buckin&apos; good BBQ" and an open-air dining experience as unique as the menu. Their outdoor seating includes picnic tables nestled between acres of citrus trees - some of the oldest in Arizona! See if you can spot a hummingbird from this patio while you enjoy the fresh air and chow down on their signature dishes.